1. 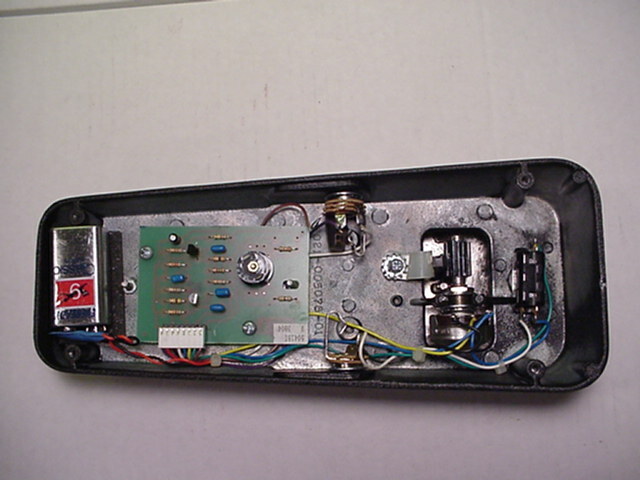 VOX V847 before the FWR is installed. 2. The blue wire has been separated from the rest. One end is on the third (rght most) leg of the pot. 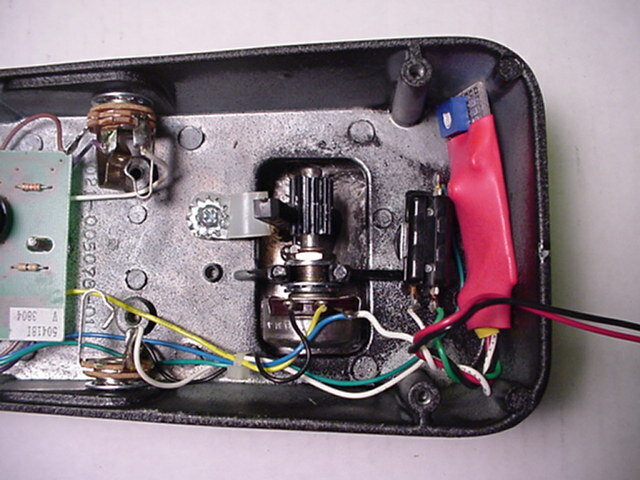 The other end is on the bottom right lug of the foot switch. 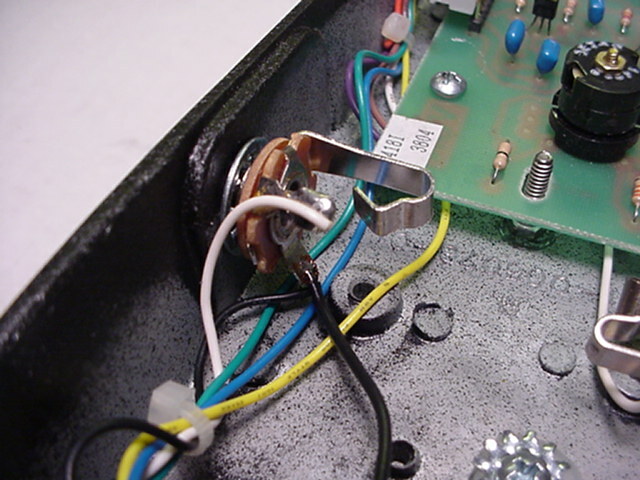 This wire carries the output of the Wah to the foot switch. Clip the wire at each end and remove. 3. The FWR is in the process of being installed. The WHITE wire goes to the third (right most) leg of the pot. 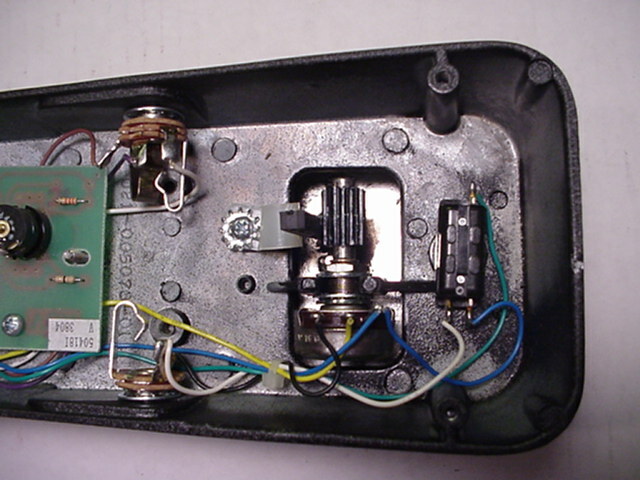 The GREEN wire goes to the bottom right lug of the foot switch. 4. 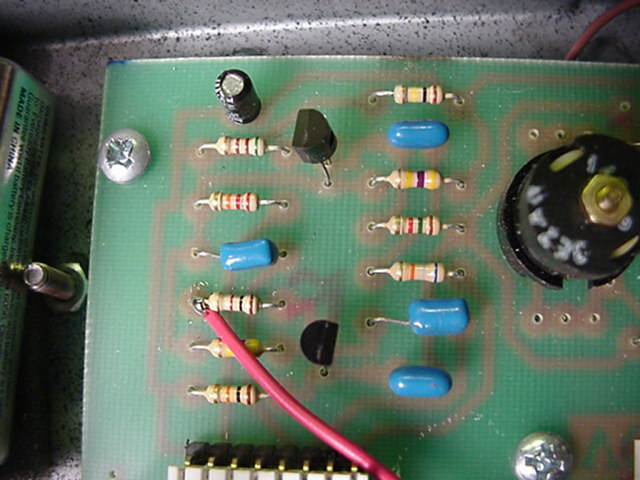 The BLACK ground wire gets soldered on to the GROUND lug of the Output jack. Any ground connection can be used, but the Output jack is usually the easiest one to get to. 5. THIS IS THE TRICKY PART: The red wire from the FWR gets connected to the positive voltage supply. In this case, the left side of the 1 K Ohm resistor (brown black red gold) is the most convenient point to get to.